This in an official blog by RHA. It was in the beginning of December 2015 when we first heard of Scan, standing at Hidaka Stallion Station, had no place to go. 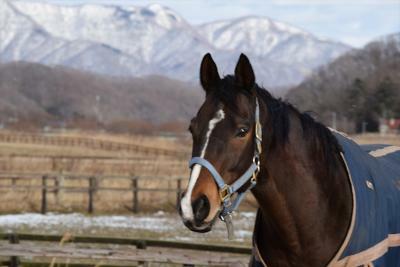 Hidaka Stallion Station was to close by the end of December, but the stallion staff were not able to find a new home for 27 year old stallion, Scan, a son of Mr, Prospector and Video. 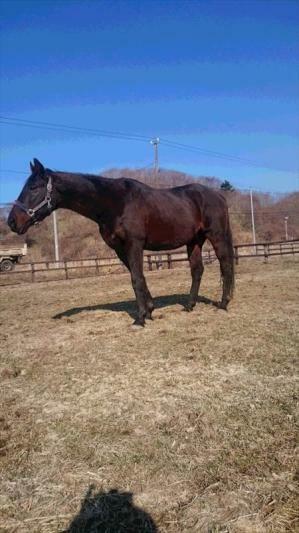 He served as a stallion in Japan for 21 years from 1992-2013. He was too old to be sent back to the U.S. While domestic-born stallions are usually qualified for financial support from Japan Association for International Racing and Stud Book(JAIRS) as domestic grade race winners after retirement, the imported stallion from the U.S. did not have the qualification for the assistance. It was difficult to find a new owner for Scan, and Ogifushi Breeding System, who manages the stallion station, asked us to take over Scan. We temporarily moved him to Araki Bokujo in Shinhidaka-cho, Hokkaido, and tried to rehome him. But it was difficult to find his new home without drastically changing the environment. We decided to keep him, and started raising a fund amounting 3,000,000 yen, which will be necessary in the next 3 years. We have raised 1,500,000 yen so far, from fans and horsemen nation wide. We very much appreciate your kind assistance from overseas as well. You can donate with PayPal. 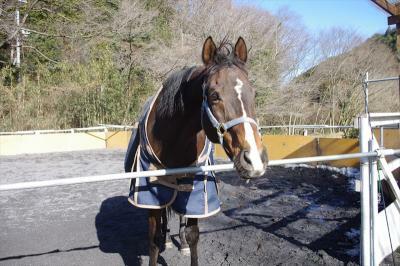 Hibiki, racing name "Lord Symphony", is a charming thirteen year old gelding. After his first career as a race horse, he served for the Metropolitan Mounted Police. 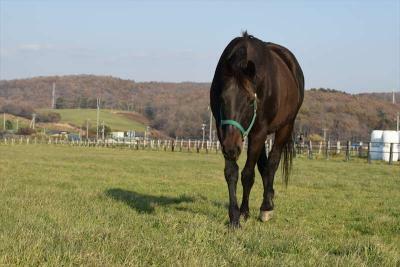 He retired from his service due to pain in his legs, and moved to a riding club in Hokkaido last year. However, it seemed to be difficult to start his "third life" as an equestrian horse. RHA temporarily took over Hibiki in end of November to heal his pain and rehome him to a new owner who can keep him as a companion or a therapy horse. We moved him to Araki Bokujou in Shinhidaka-cho, Hokkaido. Takahiro Araki, supporting us in the"Hibiki Project" as a owner of Araki Bokujou, is also a reliable farrier. 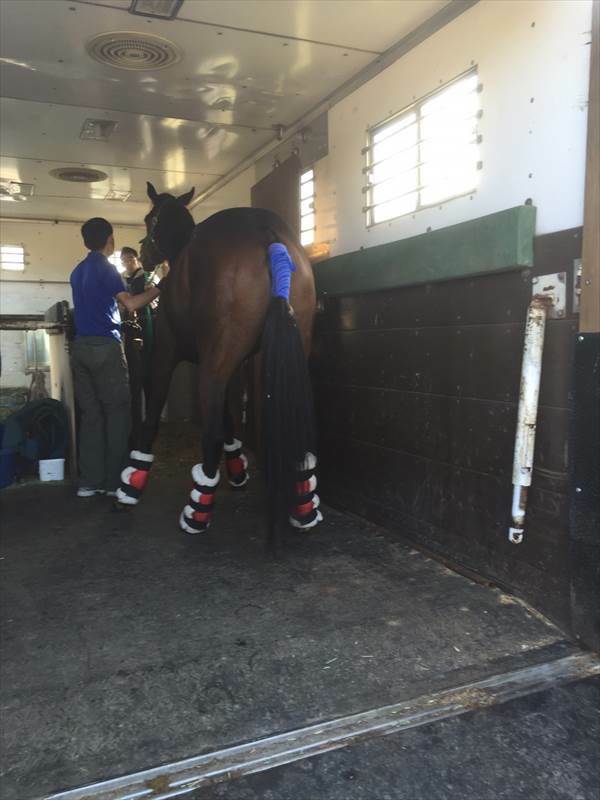 Thanks to his intense care of the hoofs and legs, Hibiki's pain seemed to heal day by day. 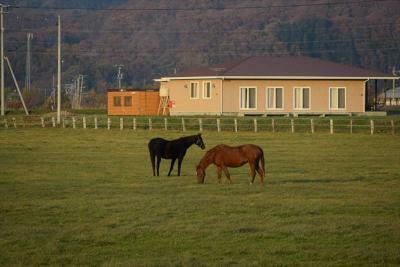 We also found a new owner, Ms. Komori who owns a private stable in Ogose-cho, Saitama. Hibiki has moved to his lifetime home in January 22 this year. Rolling over on the soft sand. We have received donations from our supporters amounting 159,000 yen. We would like to express our thanks to all of those who have supported us in the "Hibiki Project". 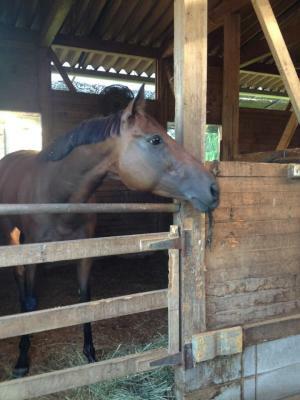 We have welcomed Tosho Orion and Mother Tosho as our new "foster horses" on October 26. Tosho Orion, 22 years old, moved to Honkiri Bokujou in Shin-Hidaka-cho, Hokkaido. Tosho Orion is a Grade III winner, and the last crop of Tosho Boy, one of the greatest stallion in Japan's racing history. 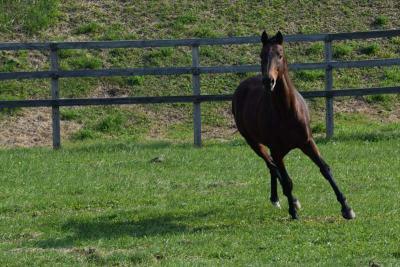 He is energetic and ran throughout the pasture when he was released. Mother Tosho, 25 years old, moved to Watanabe Bokujou in Urakawa, Hokkaido. She is the winner of 3 Grade III races. Mother Tosho is calm and generous, and seems to have been accepted by her partner Kirara. 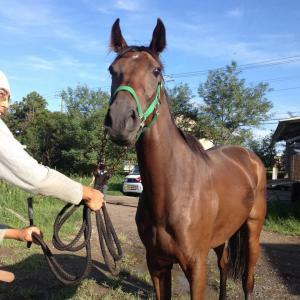 Now we have 4 foster horses in Watanabe Bokujou. Princess Eyes, a 5 year old mare, is the 7th horse in our "Retrain & Rehome Program". She won 12 races in Kochi Keiba from 2012 to 2015. Her last race was in August. A long drive from Kochi seemed to be tough, and she looked very thin when she reached her temporary home in Chiba on September 5. She seemed to be nervous for several days, but it did not take long until she got used to the new environment. She is very smart and absorbs quickly whatever she is taught. 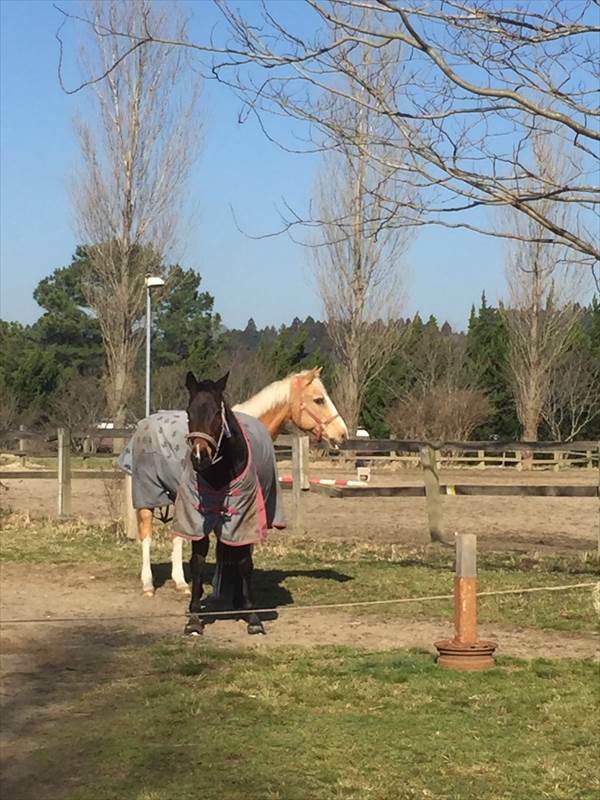 She is calm and patient, copes well with other horses, too. Her charm point is her BIG ears! We hope we can find her a good owner. The URL http://rha.or.jp/english/ has now been renewed as the English website of RHA (The Retired Horse Association). 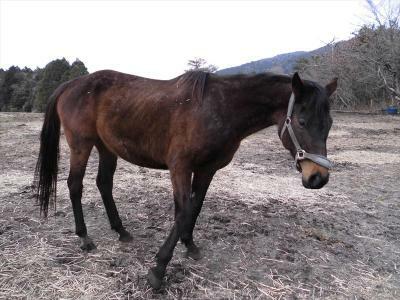 The information on hisaiba, the affected horses of the Great East Japan Earthquake will be provided here as a part of this site. Three years have passed since the 3.11 disaster of the Great East Japan Earthquake. 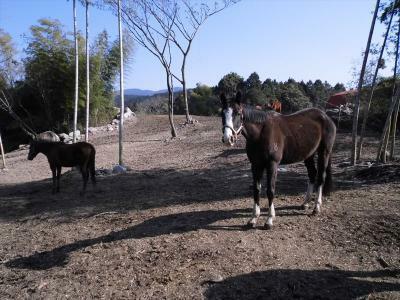 Support of RHA has now come to a new stage ― RHA adopted 3 mares, and they started their new life at HORSE TRUST, a sanctuary for retired horses and ponies in Kagoshima. Harmony Chitose-chan (age unkown) was once adopted to a riding club, however, her hoof was injured and was no longer able to be ridden. What she needed was a place to relax and move as she wanted. We decided to take over Harmony Chitose-chan. 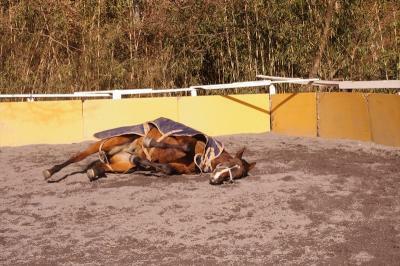 7 year old Enaco was not suitable for riding nor as a pet because of her serious mental problem. She easily got into panic. Sometimes she got hurt, sometimes she was dangerous to deal with. The former owner Mr. Tanaka was determined to keep her at his farm. But we proposed to take over Enaco, for we were convinced that the spacious pastures of HORSE TRUST will be a good environment to lessen stress and heal her mental problem. The only concern of Mr. Tanaka was to separate Enaco from Kocchan(8 years old), because she was the only one Enaco could depend upon, and asked us if Kocchan could move together. We knew it was very difficult to find a new owner for Kocchan, and we decided to welcome her to RHA. 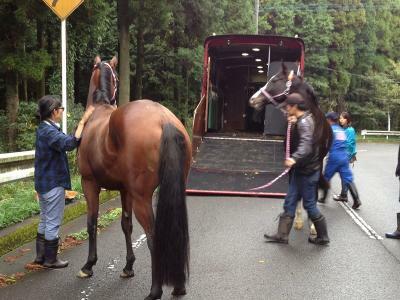 The 3 horses moved to Kagoshima on 3 November, 2013. 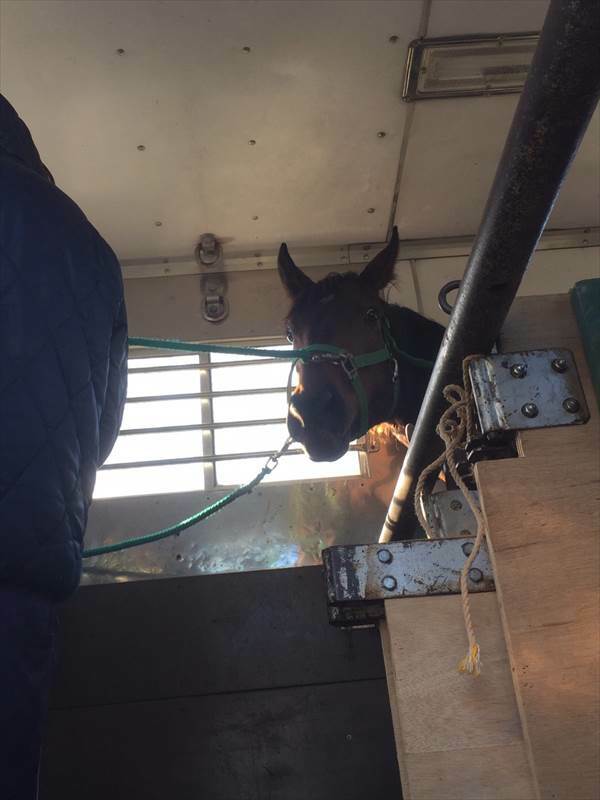 Getting off the truck, arriving at HORSE TRUST. 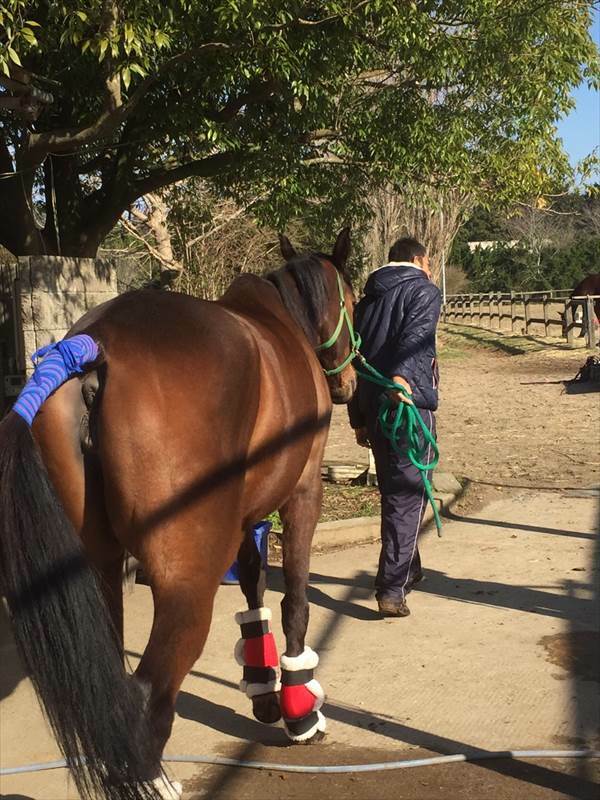 It did not take a month until the 3 horses got used to the new life in Kagoshima. For a few days Enaco was in panic when she lost sight of Kocchan. But soon there was a remarkable change. Enaco learned to cope with other horses, which was a great surprise! Kocchan, and Harmony Chitose-chan have made new friends. 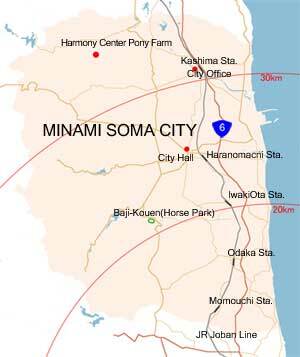 Minami Soma City in Fukushima Prefecture is an area in Japan where many ex-race horses spend their second lives. This area is famous for the Soma Nomaoi, a breathtaking festival with a thousand-year history which has been designated a National Important Intangible Folk Culture Property. Horses are very common here. They live in backyards and small stables, owned by horse-lovers, and as members of families or as companions. The earthquake on March 11 alone was a great disaster. 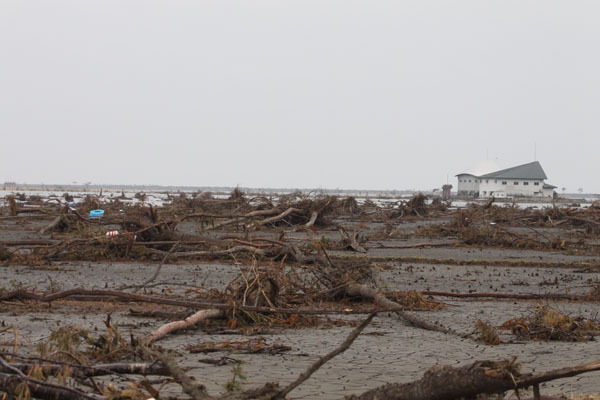 Then the resulting tsunami caused by the earthquake swept away many stables near the seashore, along with houses and other facilities. Many people died and many are still missing, as are the horses as well. 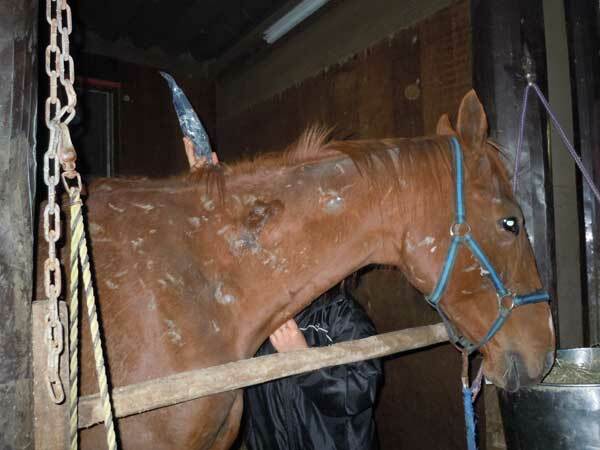 But some horses survived through the disaster and have been rescued, and now they need care. On top of everything, the accident at the Fukushima Nuclear Power Plant made things worse. The silent fear of radioactivity threatens the horses. The owners themselves were seriously affected by the quake, tsunami and the nuclear-power plant disaster. They had no choice but to leave their horses in order to evacuate. 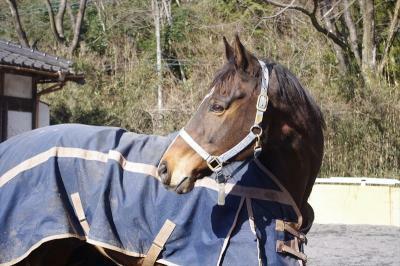 Yet many owners in Minami Soma soon came back, because they care for their horses and cannot abandon them. The horses are their pets, members of their families. Feed for the horses is insufficient because the suppliers have run out of stock or have shut down due to the tsunami and fear of radiation. We have to charter trucks to Minami Soma, and the suppliers are reluctant to go to Fukushima for fear of radioactive contamination. 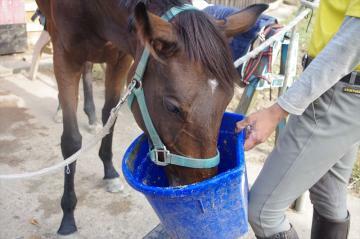 We, the Retired Horse Association (RHA; non-profit ), have been providing feed to horse owners, but we must provide more. 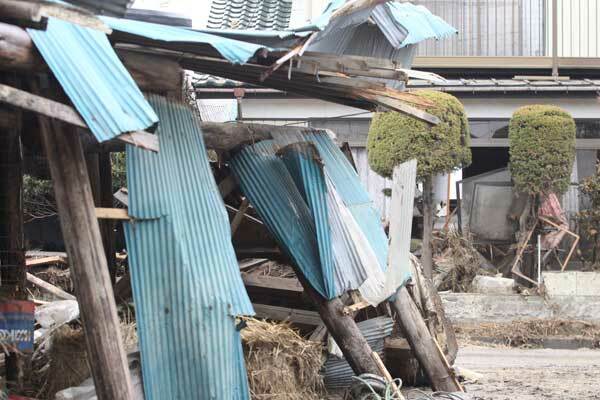 It is estimated that more than 100 horses are still remaining inside the 30 kilometer area where the government has strongly advised residents to stay indoors. The conditions are getting worse. The government has prohibited people from going inside the 20 kilometer area after April 22. Not only people but horses had to be evacuated. However, some horses still remain there. We are ready to provide any help possible to support the owners rescue their horses. We must provide shelters for horses that need to be evacuated, as well as for the rescued horses awaiting adoption. 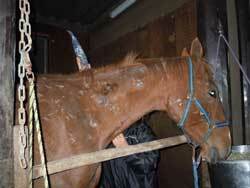 We must provide a minimum satisfactory environment for those horses in order to give their owners hope and relief. Many shelters will become necessary if access to the 30-kilometer area is to be restricted in the future, too. For long term support, we also need a sanctuary for horses and ponies that are not suitable for adoption. 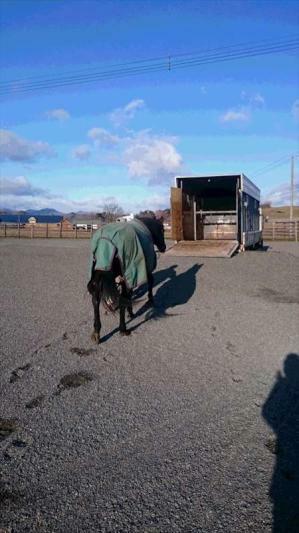 We have already overseen 20 horses for adoption, but some horses and ponies are very difficult to handle. We need a place where we can provide training and lifetime care. 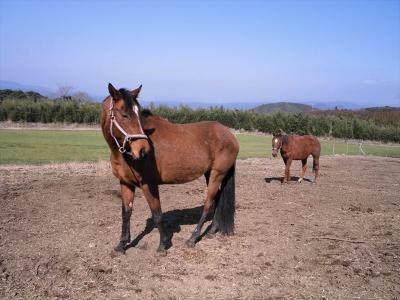 In Japan, JPY 30,000 (approximately US $375) per month is necessary to provide feed and minimum care for one horse. Our country is now in the midst of a great disaster and cannot raise enough money for the horses. We would like to ask for your warm support from overseas. 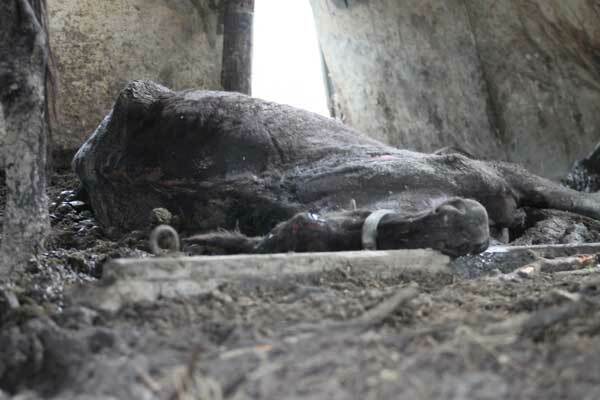 Please help us save the horses in Minami Soma, Fukushima.